We are pleased to announce that Shoreline Sailboats is an authorized dealer of the Melges 14 built by Melges Performance Sailboats of Zenda, Wisconsin USA. The Melges 14 is the newest exciting boat introduced by the Melges team. The same team that delivers superior-built Scows and Sportboats across the country and around the world. 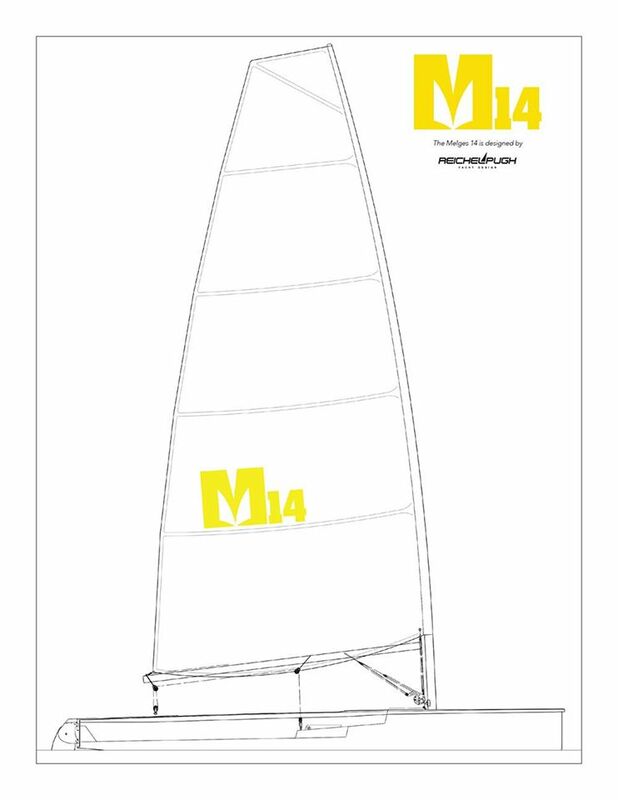 When you purchase the new M14 from Shoreline Sailboats you get more than just a new product. Melges designs, manufactures, and provides continuous customer service and support unlike anyone else. Sailors know that Melges is synonymous with American-made quality and speed. Designed by the renowned naval architects at Reichel Pugh, and developed over a two year period, the Melges 14 exudes innovation and excellence in one-design sailing. It is speed, quality, durability, comfort and fun wrapped into one dynamic and modern sailing package. It offers a fun and exciting upwind and downwind experience when compared to other boats in its size range. Perfect for all ages, it features a large, comfortable open cockpit — no bailing! An ultra-cool carbon mast and boom complement its modern, yet flexible sail plan (full or mid-range). You can either car top or tow it behind any vehicle. It’s easy to move it around on the beach with a custom Melges 14 dolly. It’s a fantastic beach boat — a fun, family-style sailboat or a one-design racing platform. The Melges 14 was the recent recipient of Sailing World’s 2016 Boat of the Year Award for Best Dinghy. Check out the Melges in action! See our Product page for more information.